DR JOHANNES VAN DER KEMP sculptured by Barry Jackson. 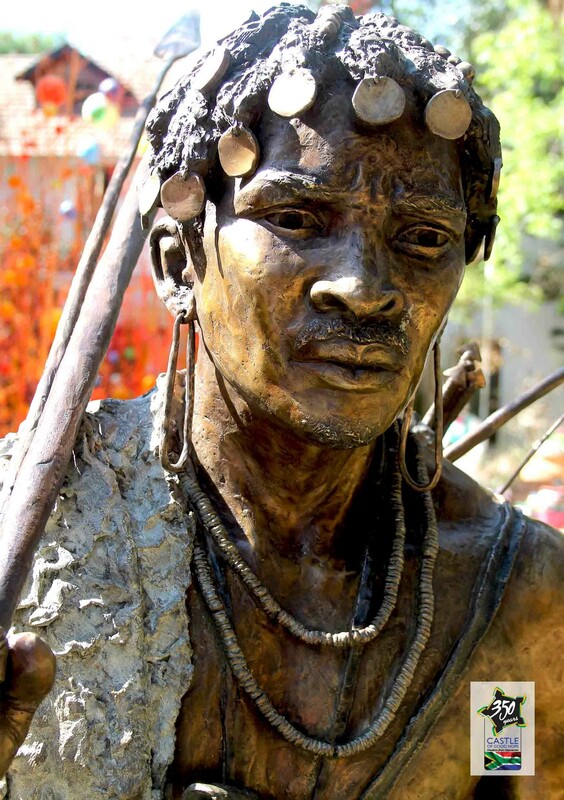 A few years ago I was approached by the National Heritage Monument of South Africa to assisted with realizing a vision to give recognition to our ancestors ove r the last 400 years who were sidelined from official histories. I was asked to assist with two things – to provide advice to a range of sculptors on the appearance of these historical figures who in the majority of cases were not captured photographically or in sketches and paintings, I was also asked to research and write 20 of their biographies which could be used as a reference for various projects envisaged for the future. It was a wonderful privilege to be part of this amazing project which subsequently has evolved as a reality. 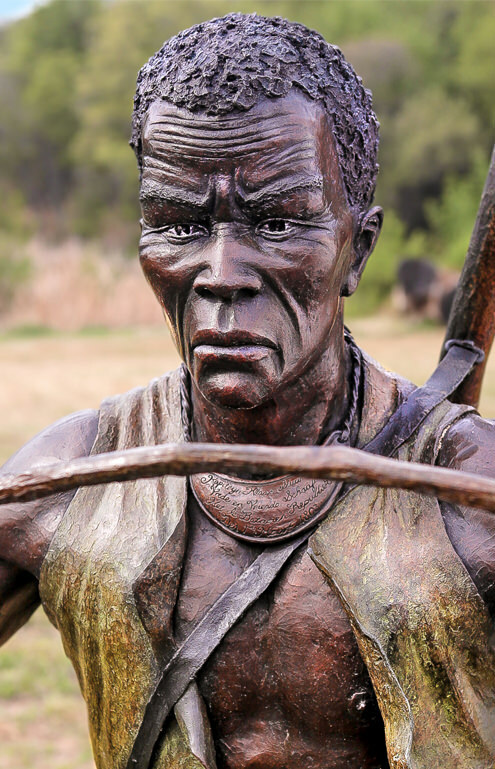 I engaged with the scul ptors in various ways to ensure the best degree of authenticity for the final products and they produced the most magnificent bronze life size figures which broke with the traditional sculpting norms for such work. For each figure I produced a ten page well-researched biography, from which shorter biographical briefs could be produced. 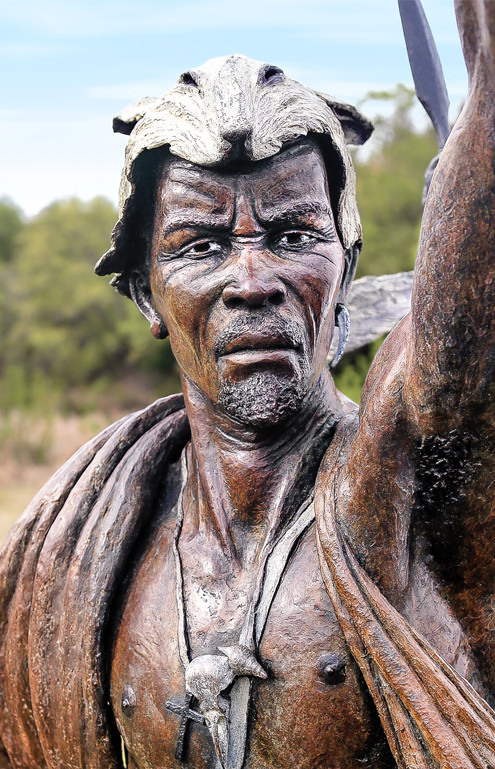 There are five contemporaries who are my favorite historical character from the same revolutionary period in our history and one earlier Khoena leader who led the first war of resistance – Klaas and David Sturman of the Khoena Resistance; Louis of Mauritius the leader of the 1808 Slave Rebellion; Makhanda the Xhosa/Khoena Itola (Prophet and military general); Dr Johannes van der Kemp the revolutionary missionary, abolitionist a defender of the Khoena who dared to say that his Jesus did not have to be adopted with a European cultural package; and Nommoa (Doman) the Khoena leader of the first war of resistance against the Dutch. I worked on many of the other historical characters too – 20 in fact. 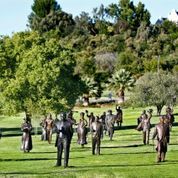 There are 40 professional sculptors and assistants who have been involved in this project and 8 South African foundries involved in the manufacture. 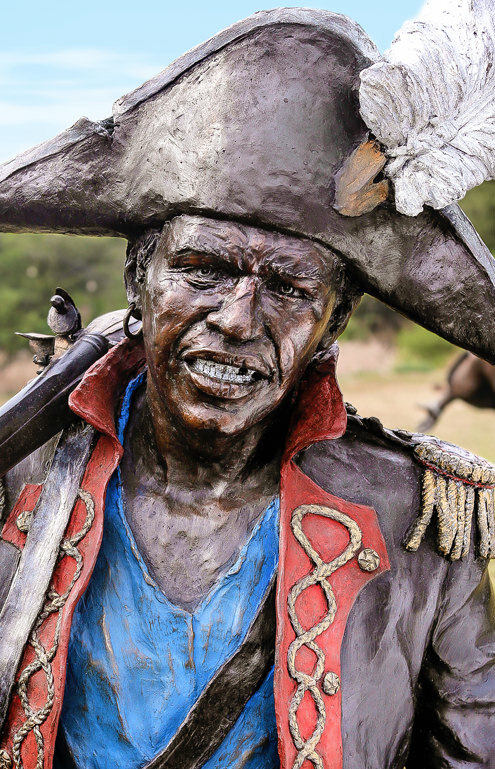 There have also been 5 less experienced artists who have been trained and mentored in the course of the project to the extent that they are now independently working and selling their own bronze sculpture works. 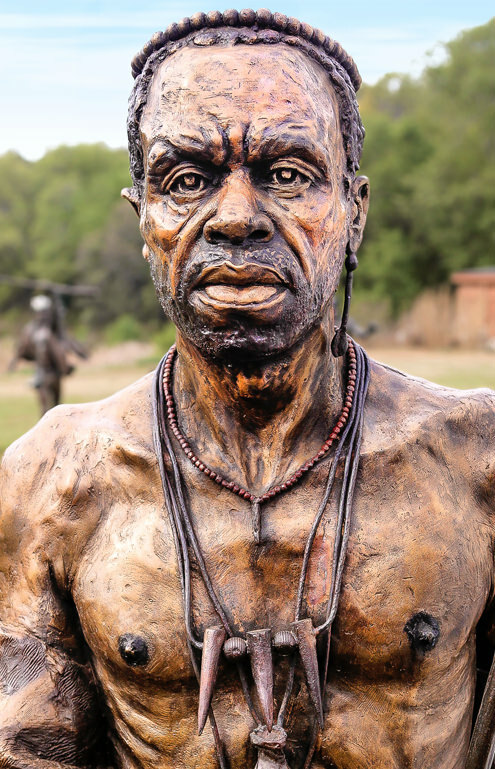 Besides carrying out this mammoth task of filling a gap in our history and heritage where previously history and memory had been blotted out, this has been the largest arts empowerment project in the field of sculpturing fine arts in South Africa by a public and private partnership in funding. I have often promoted that our artists in South Africa engage in “IMAGINING” the past and creating historical and heritage images where there are glaring gaps in imagery so that our public have the opportunity to engage with the past in a more tangible and meaningful manner. To those who question this exhortation of mine, I remind them about the famous artist Charles Bell who 200 years after the event, painted van Riebeeck’s arrival at the Cape, with all its imperfections and lack of authenticity, but that the image has endured and been embraced for the last 170 years. The image of that painting projecting Autshumao (presented as Harry the beachbum strandlooper) as an awestruck man dress in skins who had never engaged with whites is as unauthentic as they come. Autshumao who was an established trader and linguist of some 30 years standing made a point of dressing in European clothes when engaging newly arrived Europeans, and had already trained in Jakarta with the English. I also remind them of two plagiarized images from a Dutch Museum which the Colonial and Apartheid era projected authentically as that of Jan van Riebeeck and his wife Maria de la Quellarie. 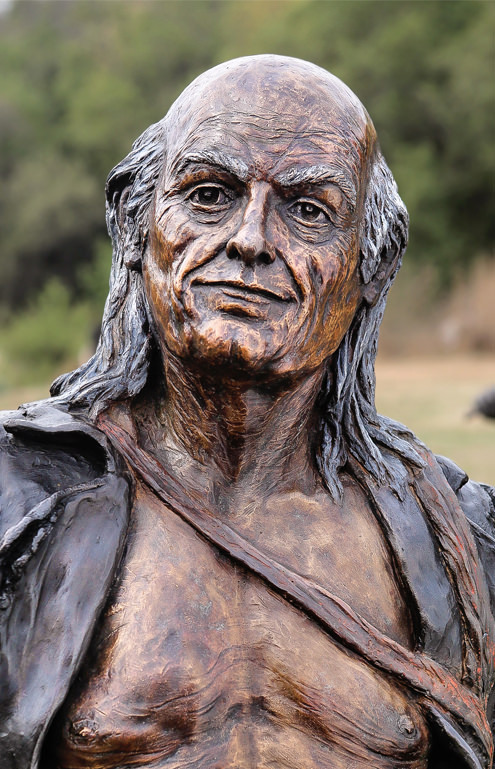 For decades these images served as fakery to present van Riebeeck as a handsome well proportioned Dutch hero with long wavy hair who appeared to us on stamps, coins, banknotes, history books and statues (one of these fakery statues still stands proudly in Cape Town). The images are indeed of a Mr Vermuyden and his mistress Ms Kettering. So the example of these great scultors should be emulated by our budding young fine artists across the country. 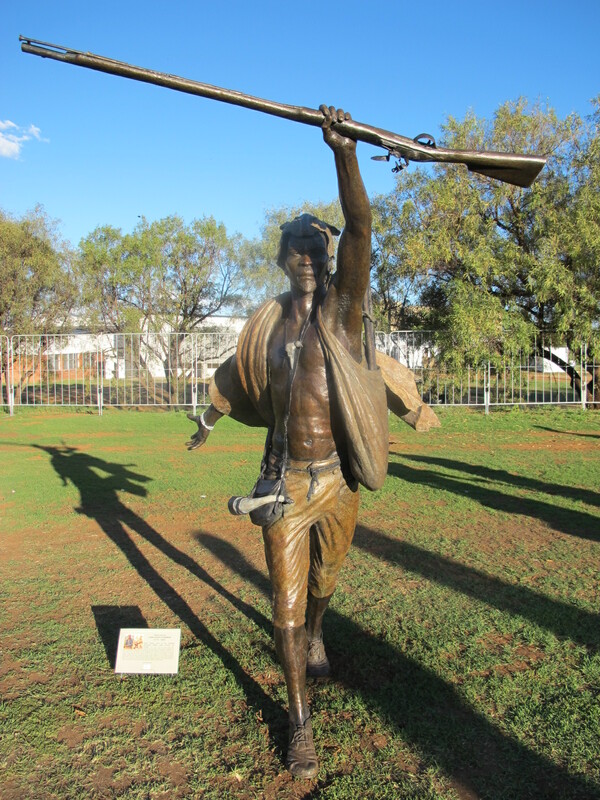 Paint, sculpt, sketch, carve and work on the hidden history and heritage of South Africa. Please visit the National Heritage Monument website to learn more. It does not feature all of the images, nor the full depictions – just the portrait views.